This plaque was unveiled on 11th November 2014 to mark the spot where many soldiers left to go to war, and from where many did not return. 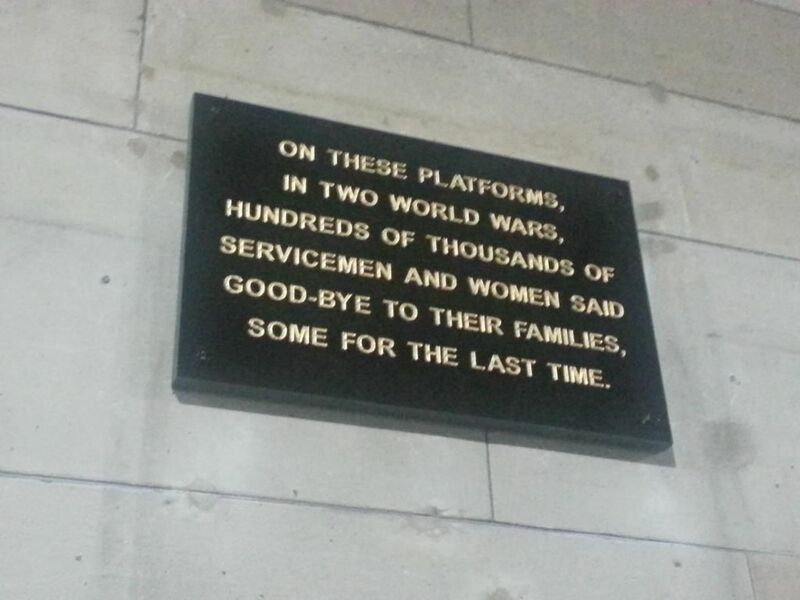 It is located at platform one on the main concourse of the station. There are no ticket barriers at platform one so access is easy.